"My husband didn't believe that I wrote all the words that I did. You're a great teacher"
Curious about modern calligraphy? 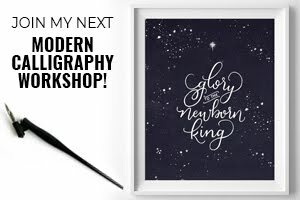 Join me for a warm and inviting introductory class on the tools, techniques, and best practices to transform your handwriting into beautiful calligraphy script! 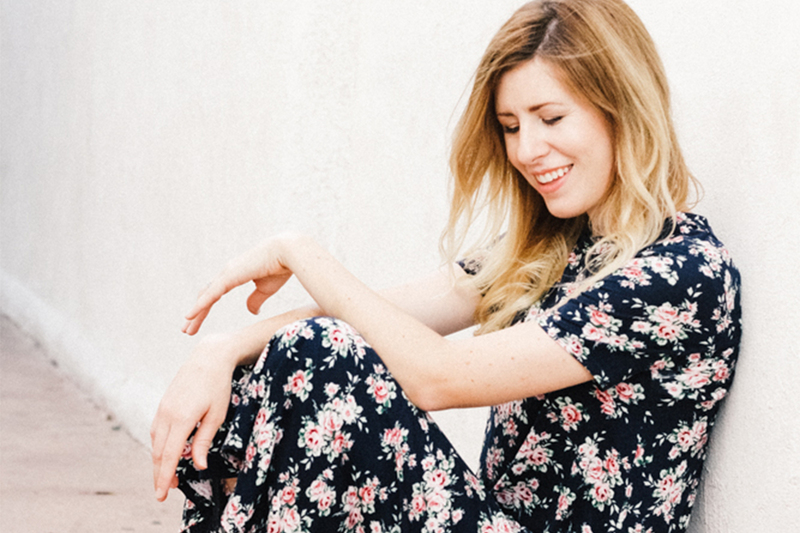 I'll cover all the details aspiring calligraphers need to get started. From materials and setting up a work space to basic shapes, movement, and the alphabet, this class is a comprehensive and thoroughly enjoyable guide. 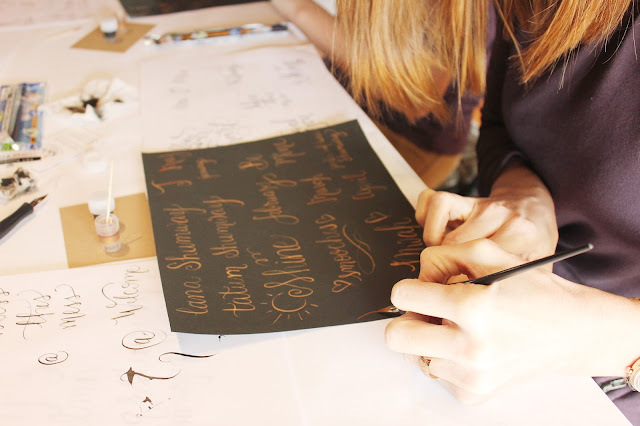 By the end, you'll write a stylized alphabet, your name, and some fun phrases in a simple calligraphy script. Plus, I'll provide all the supplies and resources needed to continue your lettering journey. And treats! 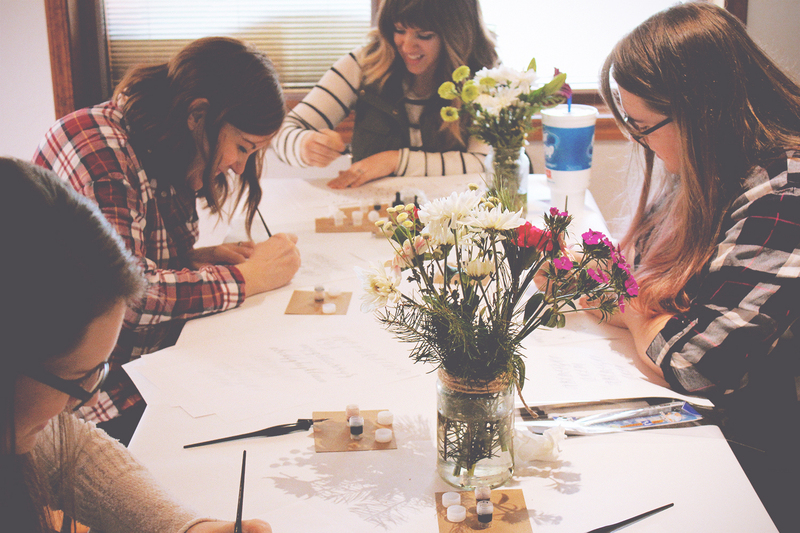 Already took the Intro to Modern Calligraphy class, but craving more? Look no further, we now have an Intermediate Calligraphy class! 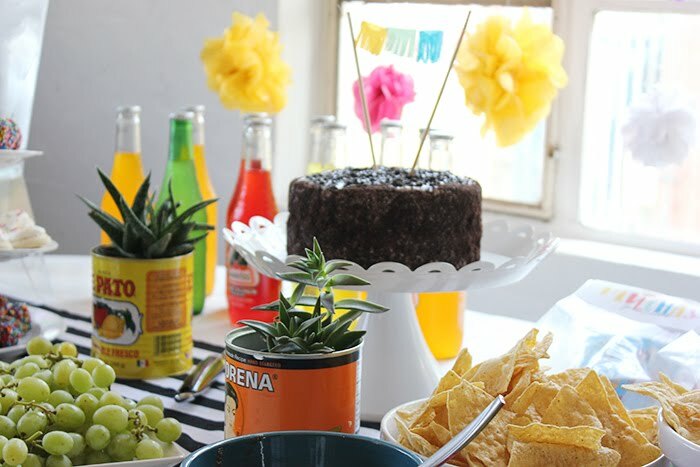 We'll build off of what we learned in the intro class, as well as add in a few fun extras. 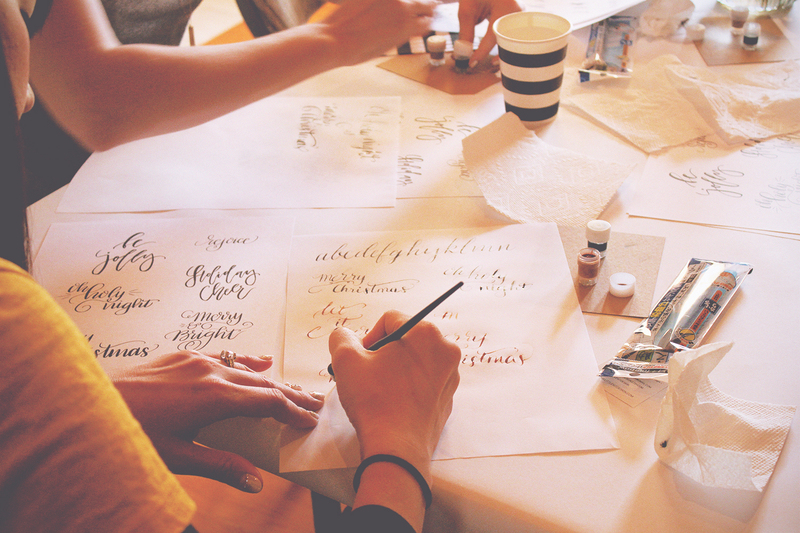 I'll cover all the details aspiring calligraphers need to continue with their skill. From different materials/tools and working above and below the baseline, to spacing letters and words, adding flourishes, and trying different compositions. By the end, you'll write stylized words, add "the bounce", stylize your name a few different ways, and try some fun phrases in a simple calligraphy script -adding composition.